Includes 30 capsules. Explore the rich tastes of our best-selling coffees for the VertuoLine system. Nespresso VertuoLine uses revolutionary technology to extract every aroma, rich flavor, and our signature crema atop each cup of coffee. Capsule assortment only compatible with Nespresso VertuoLine machines. Will not work with OriginalLine machines. Sustainable coffee production ensures our supply of high quality coffee for the future. In partnership with the Rainforest Alliance, our AAA Sustainable Quality ProgramTM protects the environment, empowers farmers and more. 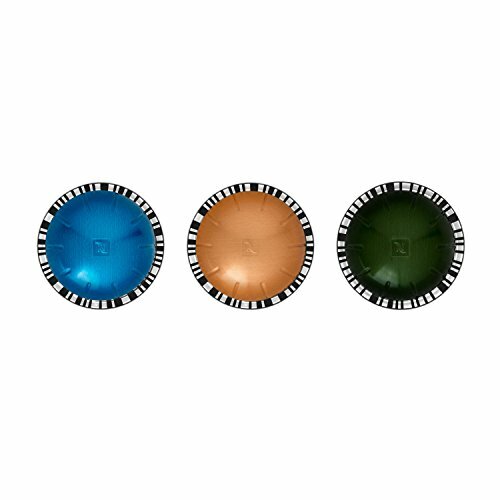 Find locations to drop off your used Nespresso capsules at over 88,000 UPS locations and Nespresso Boutiques at https://www.nespresso.com/us/en/services#services-recycling. Or call the Nespresso Club for immediate assistance, 877-964-6299.